Hi Sylvie this is my favourite Christmas tree die I just love it. Such a great choice of papers and colours. Mind you I'm wishing I could have seen the wedding card before you used it now! lol. A fabulous Christmas card Sylvie. The tree die is gorgeous and I love the design. 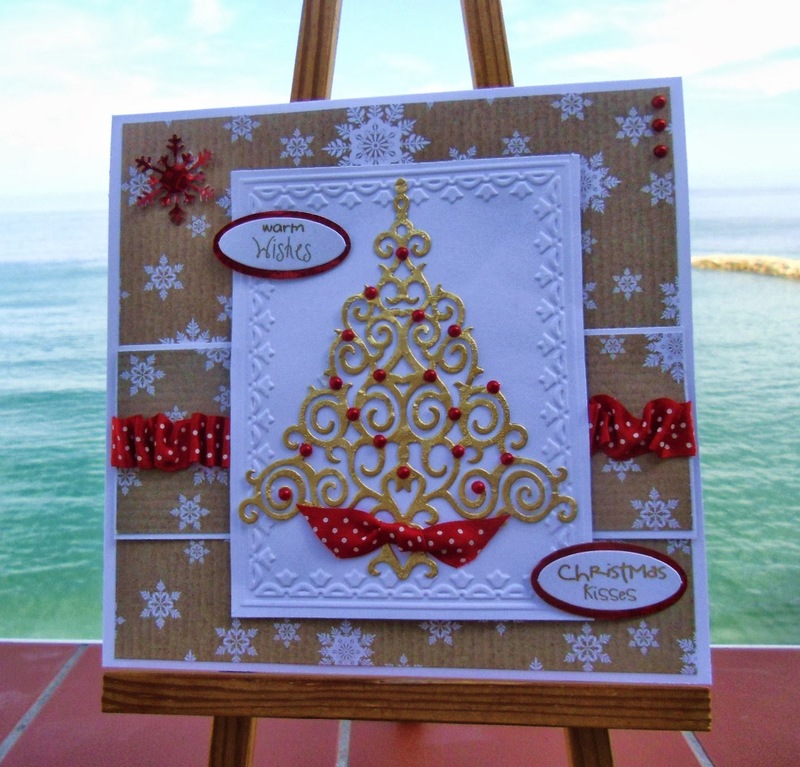 I love the gorgeous tree Sylvie and the paper is fabulous. Such a beautifully designed card. Gorgeous card love the beautiful Christmas tree. Fab card, Sylvie. Great job at recycling! 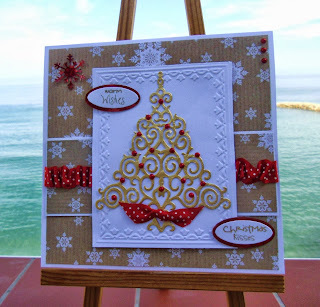 Great Upcycle...I think I am going to have to get this gorgeous Spellbinders tree die...It is really wonderful. Love the glamour of the gold on your card Sylvie! The red and kraft contrast with the gold is fab! I do like this tree - very pretty! another super Christmas card! Beautiful card Sylvie, love the gold and red look.